JICE Hokkaido Office hosted a visit of 21 Cambodian students majoring journalism and other young professionals and 26 Thai high school students studying Japanese language and communication. 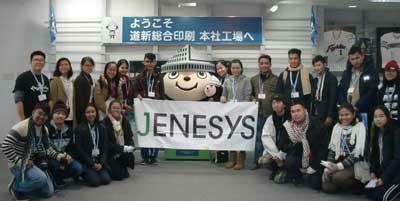 They visited Hokkaido from December 7th to December 11th, 2017 as part of JENESYS 2017, the youth exchange program for Asia and Pacific sponsored by Ministry of Foreign Affairs and managed by JICE. The Cambodian group visited the Printing factory operated by the Hokkaido Shimbun Press, a leading local newspaper company, Hokkaido Cultural Broadcasting Co. Ltd., and Hokkaido University Graduate School of International Media, Communication, and Tourism Studies. The Thai group of high school students had a school exchange visit to National Institute of Technology Tomakomai College. Part of their visit program was joined by H.E. Mr. Vongthep Arthakaivakvatee, Deputy Secretary-General of ASEAN Secretariat. Mr. Vongthep gave a lecture about the history of ASEAN and the future role of Thailand in the regional body to Thai students. He also observed the school exchange program between the Thai student group and the students of National Institute of Technology Tomakomai College. 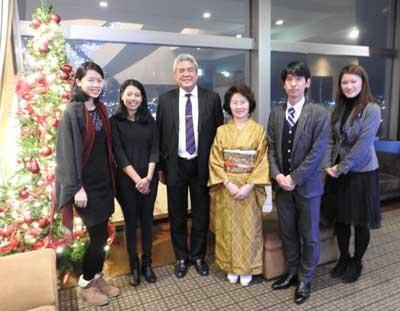 The senior ASEAN official had a meeting with Ms. Sachiko Yamano, President of JICE in Sapporo. 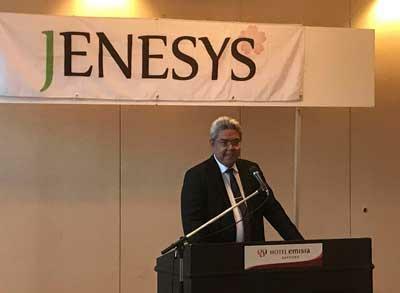 The two leaders agreed that ASEAN Secretariat and JICE should work together to further enrich JENESYS exchange program. JICE Hokkaido Office will be committed to supporting various JICE activities through arranging opportunities for foreign visitors to experience local technologies and tourist attractions well as those for the students in Hokkaido to have exchanges with the youth from various countries participating in JICE’s international programs.